It’s no secret that nostalgia is a primary driver of the market for classic cars; folks purchase certain classic cars because of a special tie they feel to that car. There’s far more to that attraction than just the aesthetics striking a chord; everybody wants to re-live the “golden era”, the limited-responsibility days of their youth, and what better way to do so than with a time-capsule-like vehicle of that period. 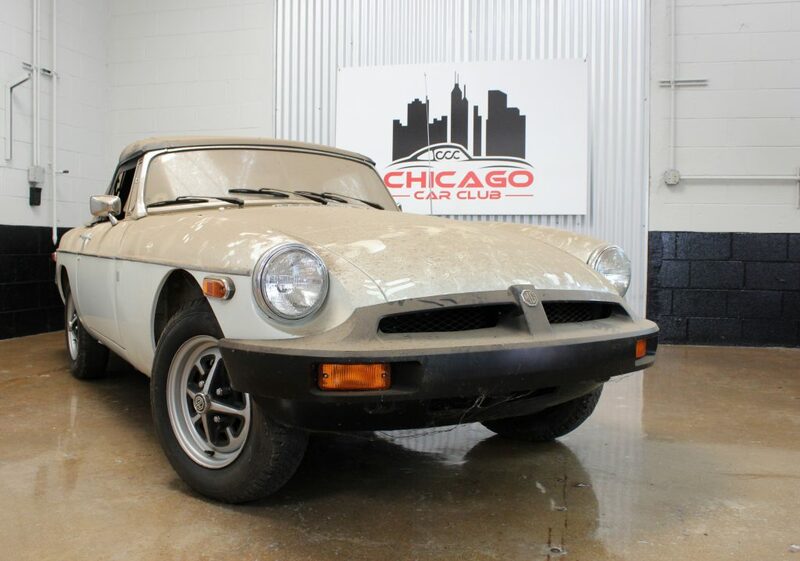 Maybe the purchasing decision is driven by a pursuit of the feeling of when you took your first girlfriend out in that sporty little coupe, or maybe it’s a more primal gravitation towards a particular vehicle, like say, the same car that you were carted to elementary school in. 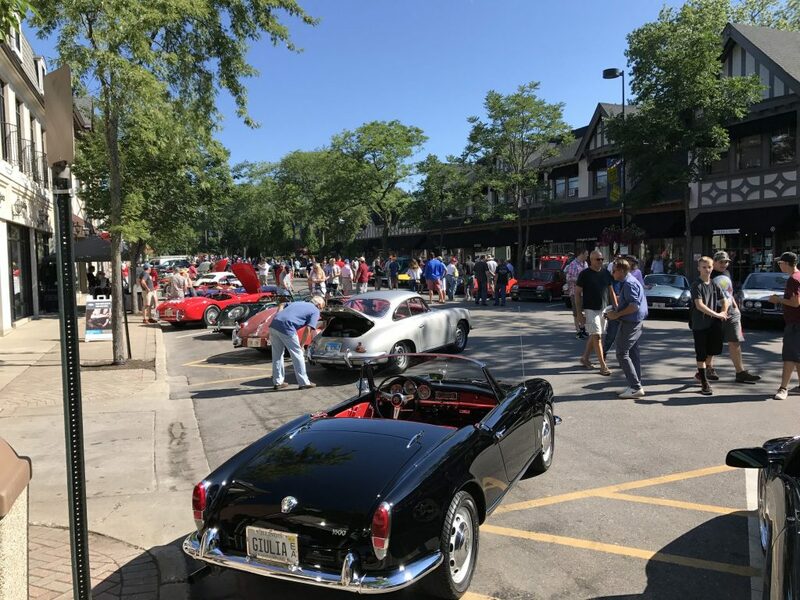 Whatever the reasoning behind enthusiasm for a particular classic car may be, one thing is for certain, nostalgia plays a pivotal role in the purchasing habits of classic car enthusiasts. 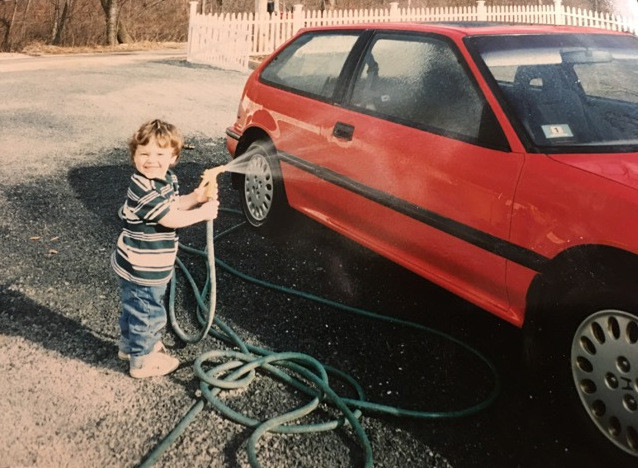 The vehicular experiences of those early, formative years have a heavy hand in sculpting a persons automotive taste and preferences, and in turn, future purchasing decisions. 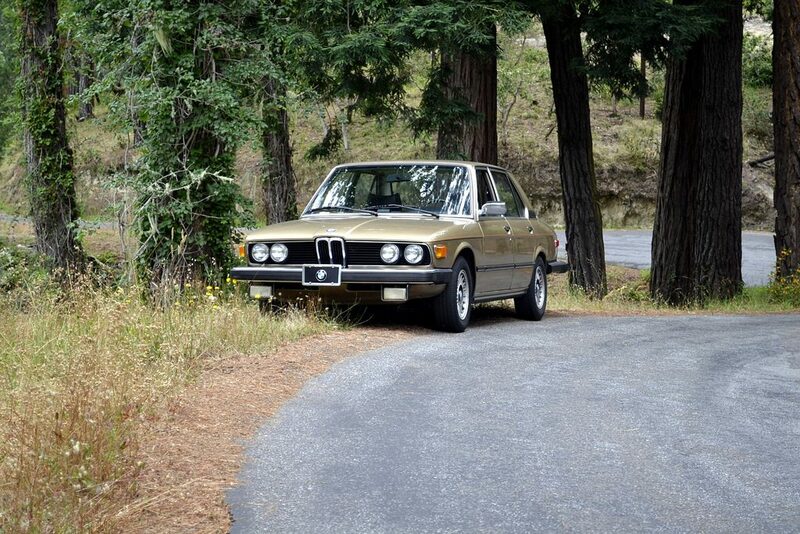 This subject is especially topical for me, having just treated myself to a “new” car, a ‘79 BMW 528i. Only the 4th 528i ever produced for the US market, at that. 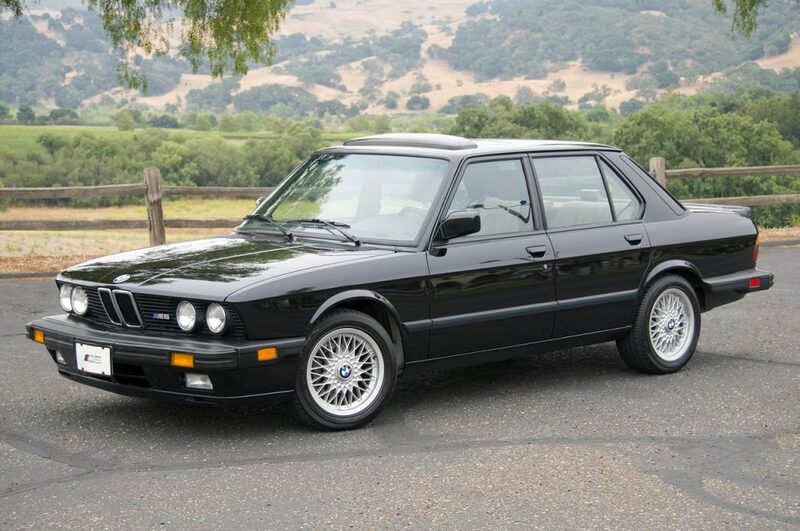 I absolutely adore the car, not because it’s the best looking or most exciting car to drive, but because I’ve desperately wanted one ever since I was a kid, having seen my dad’s daily driver, an ‘80 528i, pull into the garage at 6pm every day when he got home from work. 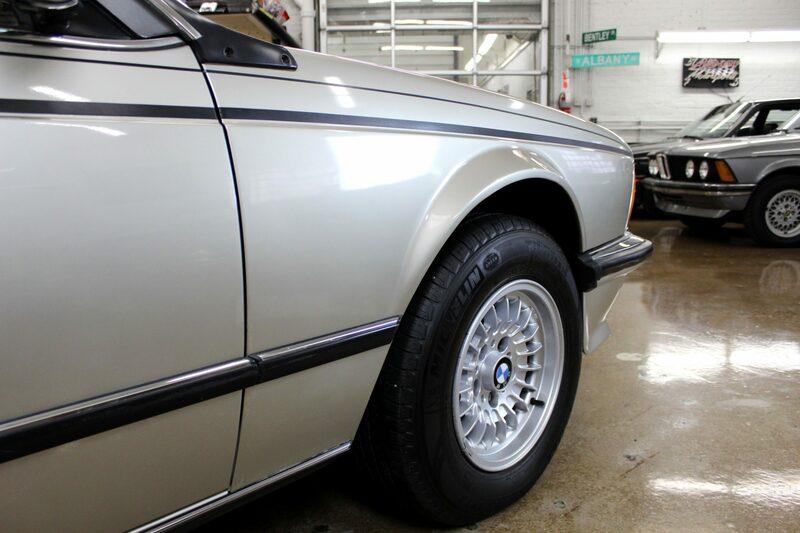 I distinctly remember seeing that angular front end and protruding, unmistakably-BMW kidney grille and being so fascinated, just enamored with how different it looked than anything else I had seen on the road. I actually remember being upset with the family dog for taking a bite out of the driver door panel one day. Any other little kid probably would have laughed at seeing their dad get agitated like that, but I shared the frustration. Come on Louie, don’t you know this car is something special?! 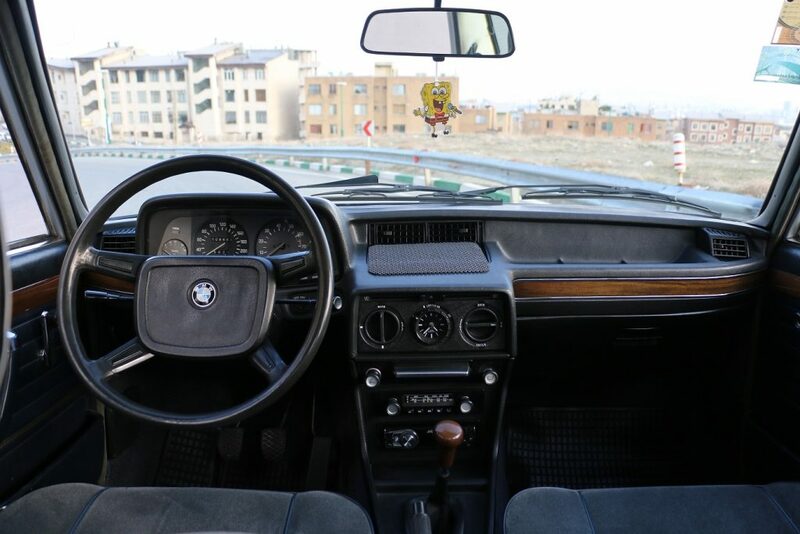 This personal history I have with the e12 528i makes my recent purchasing of the car seem logical and justified, even to someone who may think it’s the ugliest car on the road. Regardless of anyone’s personal opinion of the car, they’ll absolutely respect that it holds a special place in my heart, as another car likely does to them. Because of my ties to the e12, it’s able to occupy a place in my heart and mind that even a far more “desirable” car could not. 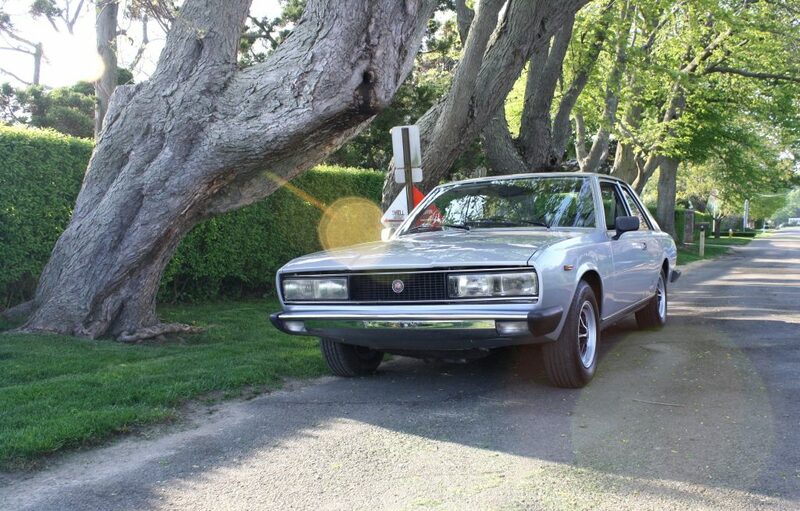 Having been in the business of buying and selling classic cars for some time now, I’ve seen first-hand how heavily not just nostalgia, but also the backstory and ownership history of a car can factor into purchasing decisions. 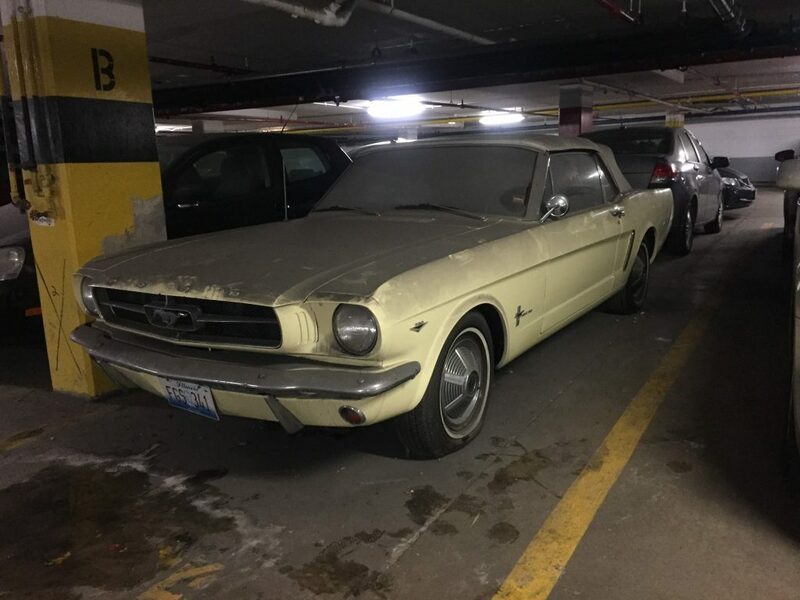 Many buyers find it extremely important, a make-or-break even, to know that the car they’re looking at was once near-and-dear to it’s owner, or at least has a story-worthy past. Even if a particular vehicle isn’t exactly to their fancy, there’s an innate desire to continue that love and enthusiasm of previous owners, almost like the vehicle is owed it. While I see both nostalgia and backstory play a role in just about every sale, there have been a few examples in these last few months, which I’ll dive further into now, that have really made me smile for one reason or another. A couple months ago we received a call from a local gentleman who was looking to sell his ‘71 Westy on consignment, an unfortunate occurrence, as the bus had just undergone a full restoration and was only being sold as a result of a divorce. The owner told us that he had always wanted one, having been a child of the 70s and having identified somewhat with the counter-culture movement of the time. Now, years later, he decides to treat himself to his dream car. 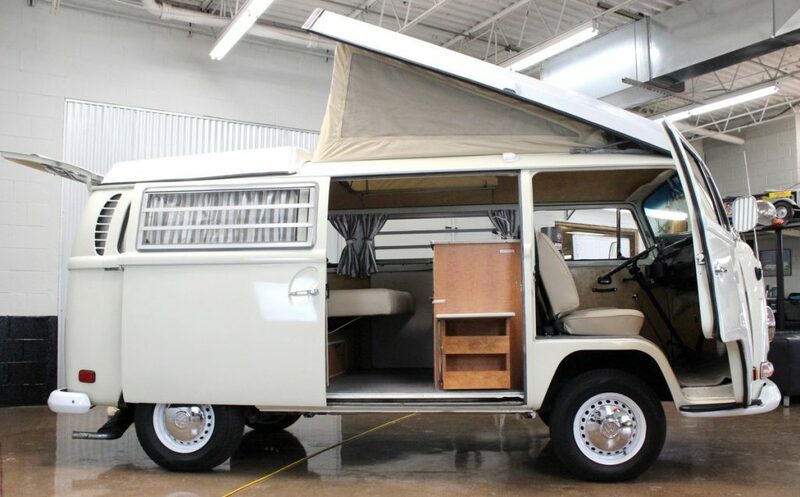 He tracked down a minimal-rust example in his desired original colorway, Pastel White over tan interior, and sent it to a Westy specialist to have it gone-through in its entirety. While the bus was being disassembled and prepped for paint, the restoration shop found a handwritten letter hidden underneath the carpeting. 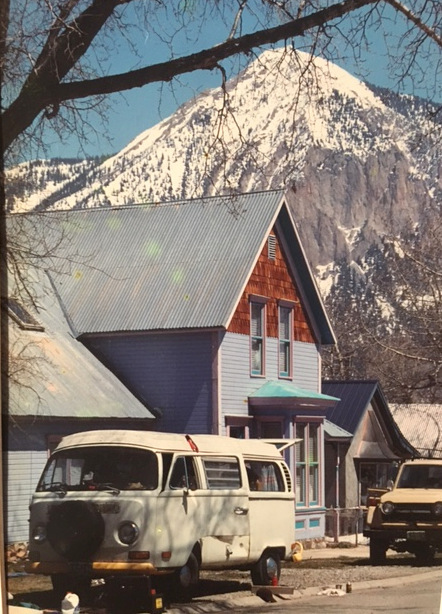 The note provided some excellent insight into the history of the bus; the previous owner, a woman in Colorado, had crossed the country in “Daisy”, as she had named it, several times. 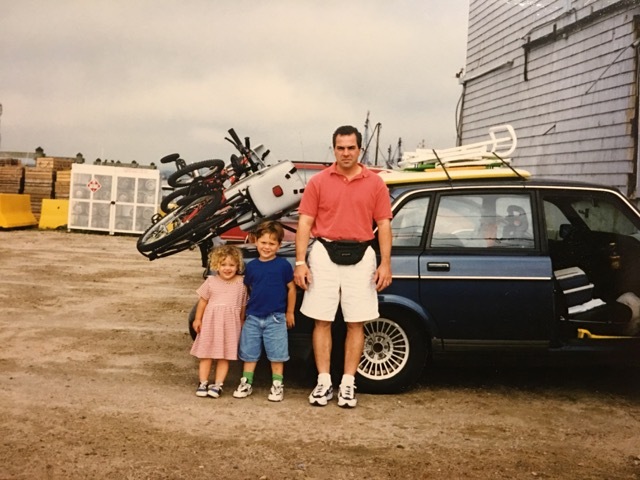 She had attended hundreds of music festivals, and even lived in it for a period in the early 1990s. She hid the note underneath the carpet knowing that if it were to be found, it would be during disassembly. “If you tear her down for parts, please know that there is sunshine in every piece. If you restore her, please let me know. She deserves it.” The note was signed off on with a name, date, and an email address. As the note was dated 2004, we figured that the email address was likely out of commission and we’d just get an undelivered notice if we tried to reach out. I gave it a shot anyway. Low and behold, a day after sending a handful of high-res photos and a walk-through video, I get an ecstatic reply. Caps lock, exclamation points, the whole deal. She even attached a fantastic photo of the bus back in the early 1990s, at home in Colorado. I can only imagine the feeling of hearing that her beloved Daisy got a new lease on life. I know if I were to get a similar email about the 2.0L Porsche 914 rust-bucket I drove in high school, I’d be off-the-walls excited. A Chicago-based woman ended up buying the bus from us, and she said that the backstory was half the reason she followed through with the purchase. She already had two Westys sitting in her garage at home, so obviously had no real need for a third. She just saw the listing, read the story, and knew she had to have it. The story struck a chord with her and sometimes, that’s all the justification needed to pull the trigger. I would say that the backstory of this car is short and sweet, but really, “sweet” doesn’t feel like quite the right word. We love this guy. He’s a small-business owner, has excellent taste in cars and motorcycles, and until now, at over 80 years old, has only accumulated cars and motorcycles, never sold. Sitting a couple spaces over from the 1400 mile MGB, which we’re now selling on his behalf, was the first classic car he bought new, a ‘56 MGA. That car, 1800 miles. Same story; he drove it until he lost interest, then into the back corner of his warehouse it went. 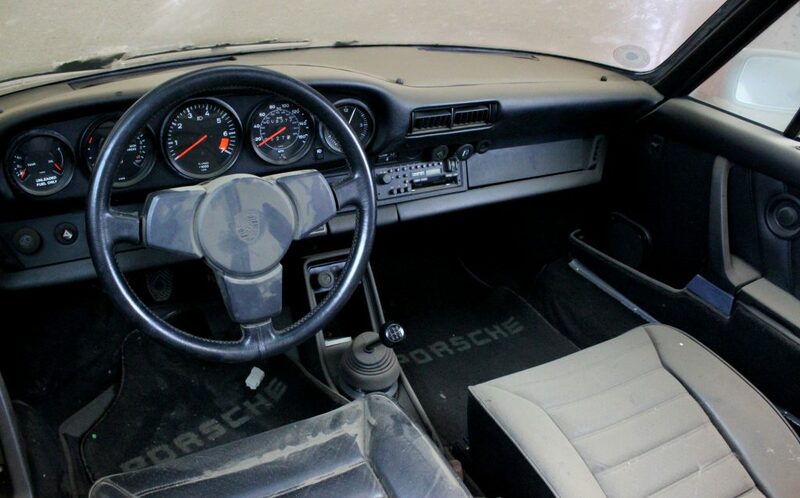 Next to that, an ‘84 911 Porsche Carrera Cab with 9k miles. Showroom-perfect condition, original window sticker and dealer paperwork still in the glovebox, but stored with the top down for the last twenty years and absolutely caked in dust. I asked him why he stored it with the top down; his response, “Well it must have been sunny out last time I drove it”. Marvin is rare breed of car enthusiast, and we respect the hell out of his approach to the hobby. Every one of his cars he has ordered brand new, optioned out to his exact desired specification, and held onto all of the original sales paperwork. 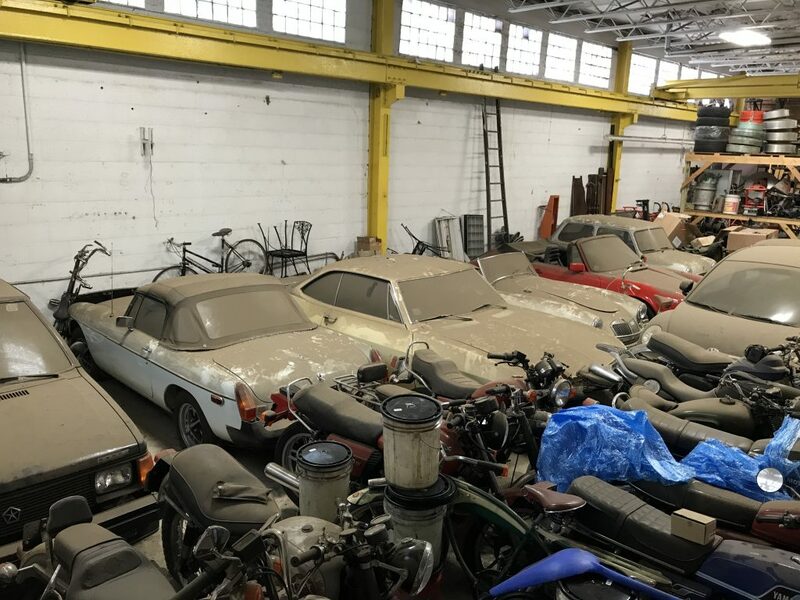 As he runs his business out of a climate-controlled warehouse, he knew that he could put cars into long-term storage with little more than dust to worry about as far as deterioration. His automotive preferences have clearly aligned with the market’s preferences, as all of his cars have become highly sought-after in recent years. Air-cooled 911s, early Mini Coopers, zero-mile 70s Italian motorcycles….this guy knew exactly what he was doing when he bought all these toys. He was playing the long-term game. 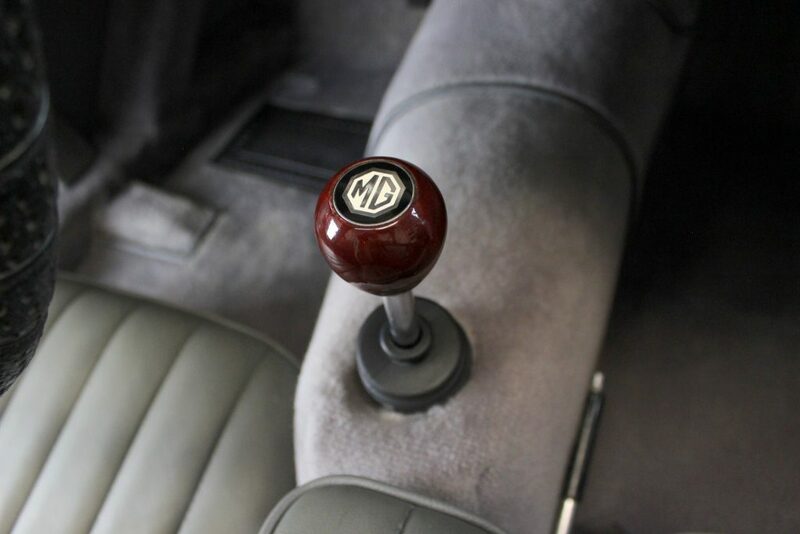 Tying back to the backstory and ownership history of a car adding value and making the car more attractive in the marketplace, I sure know that having met Marvin, I’d absolutely pay a premium to own one of his cars. 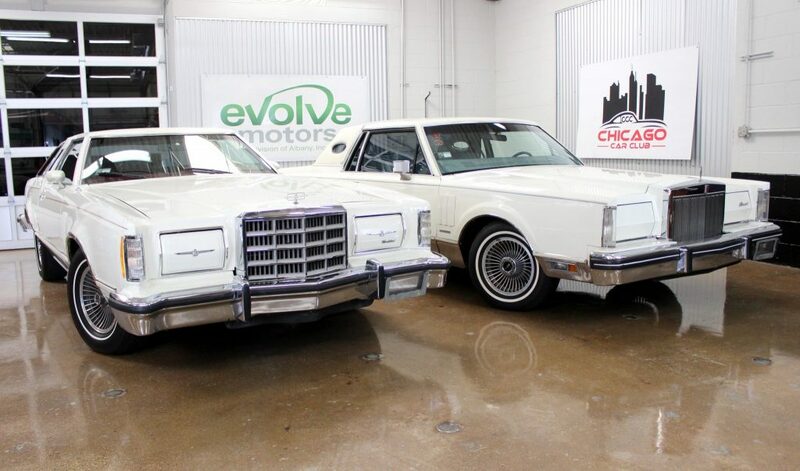 Having documented, known history from new and a friendly face narrating the story adds tremendous appeal to a car, and in a situation like Marvin’s, truly makes you feel like you’ve done the closest thing to buying a car fresh from the original selling dealer. 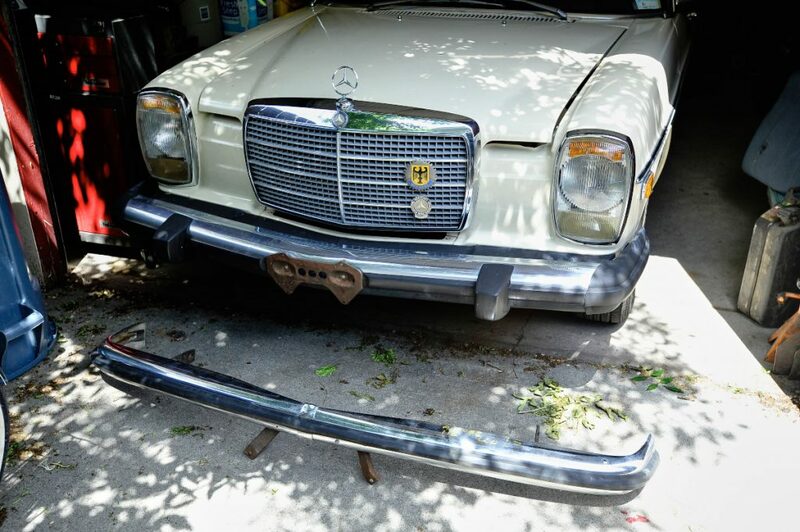 In most situations when we’re dealing with classic and collectible vehicles, the value is all in the originality. However, every so often there’s a vehicle that defies that norm. There are certain charms, or cool-factors we’ll call them, that more than compensate for a lack of originality. Our TravelAll is the perfect example; we purchased the truck from the family of the original owner, who had passed away earlier this year. The truck had been way out in rural Montana since new, the owner having lived on an access road splitting two national forests. To our surprise, the family of the owner neglected to clean the truck of their grandfather’s belongings prior to shipping it out; the truck arrived at our facility packed full of goodies. We open the rear hatch, and sitting next to the spare is a lasso, axe, sledgehammer, snake bite kit, a bundle of flares, and an extensive tool kit. Up front, there’s a ceiling-mounted radio, complete with decorative feathers. There’s a secondary heater mounted under the dash, along with a fire extinguisher. 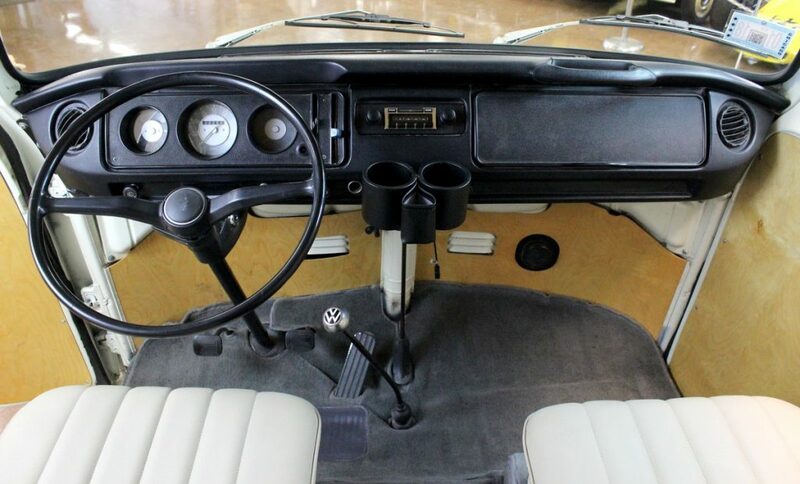 There’s also an old-school coffee-maker mounted to the B pillar, a handful of add-on gauges installed, and a sweet, custom sun visor attachment with compartments to hold cigarettes and sunglasses, both of which look to have been there since at least the 1970s. While the truck originally had an automatic shifter on the column, the owner swapped out the motor and transmission for a lower-mileage unit with a 4spd manual transmission. How do we know? 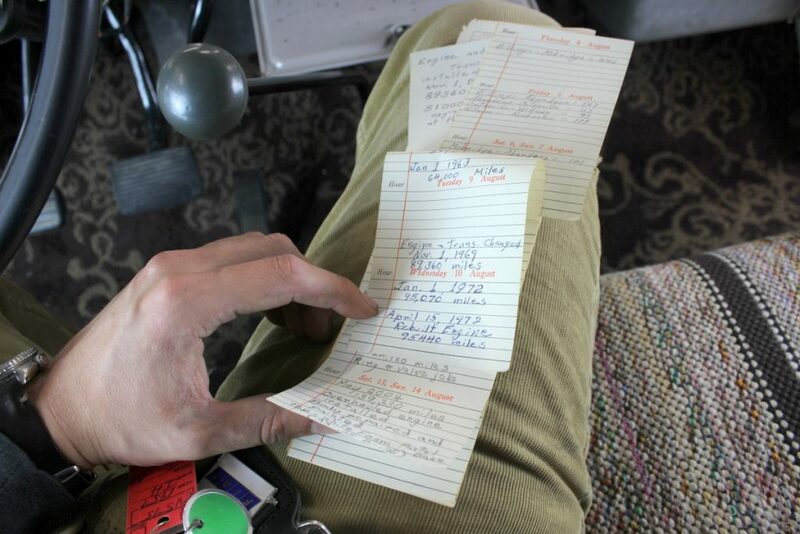 He did all of the maintenance himself and kept a handwritten logbook of services, fuel fill-ups, and mileage increments, keeping this log in the same notebook ever since 1960. Towards the end of the notebook, and towards the end of the owner’s life, you can actually see the handwriting becoming more and more illegible. 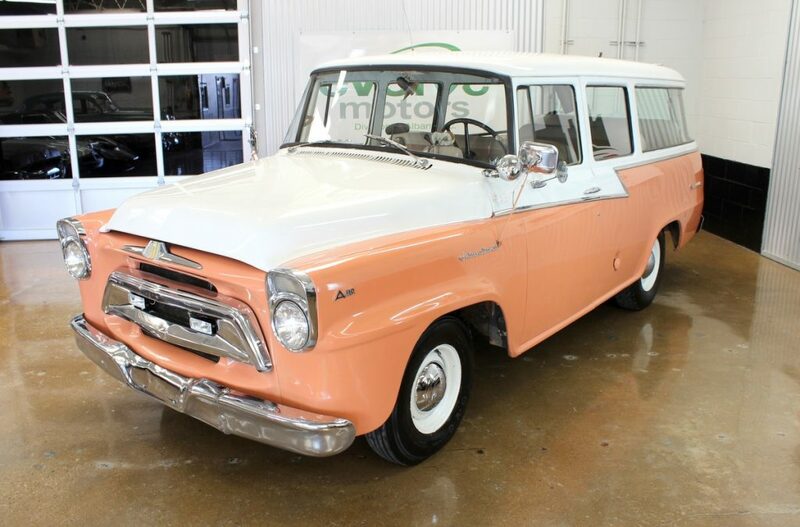 We feel truly privileged to have had the opportunity to continue the original owner’s enthusiasm for the TravelAll. And, since it has been in the dry, no-salt state of Montana since new, it is tremendously well-preserved and rust-free. 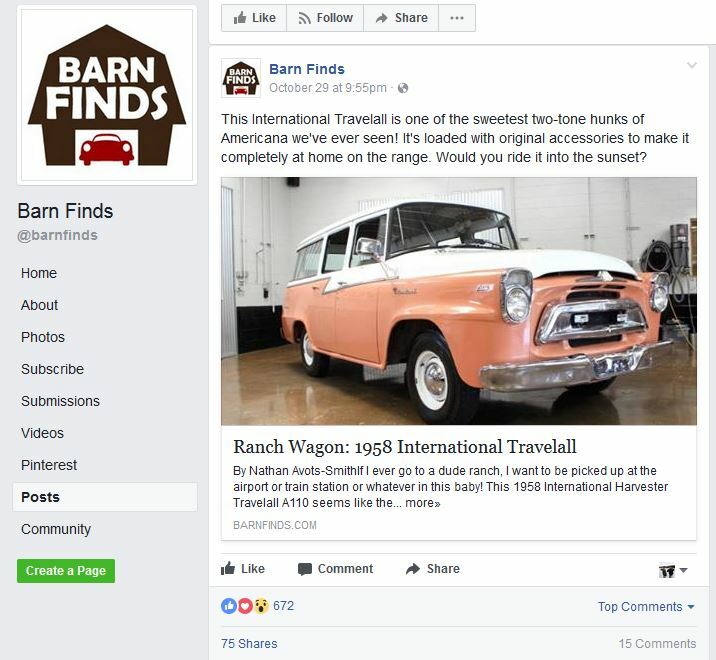 This truck just goes to show that sometimes a good story can outweigh originality; since listing the TravelAll for sale just a few days ago, it has been shared all over the internet, garnering tons of praise. No knocks on the lack of originality, just pure admiration and appreciation for the authentic mid-America cowboy-cool factor. These stories I’ve shared about the Westy, MGB, and TravelAll, while entertaining to hear about, aren’t really all that out-of-the-ordinary. 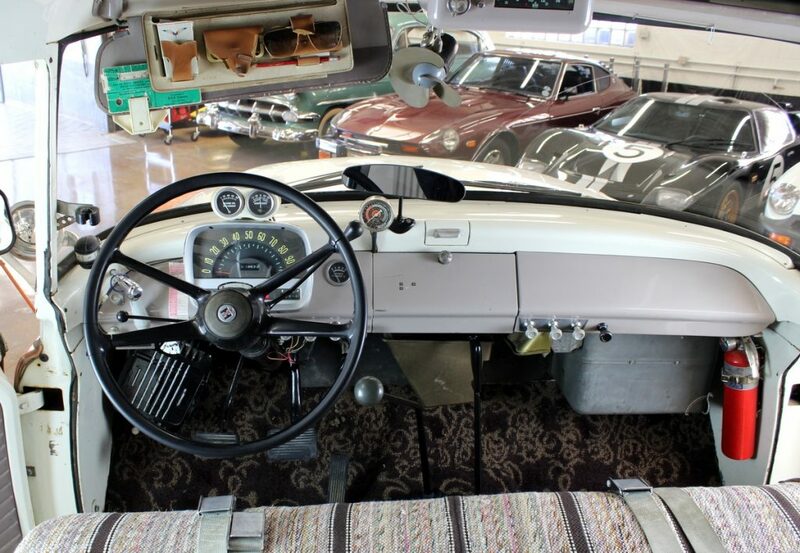 As buyers and sellers of classic and collectible vehicles we see many, many cars come and go; the overwhelming majority of these cars have a story to tell. While maybe not every car’s story will put as big a smile on your face as the TravelAll, painted “Raisin Tan” and loaded with wild-wild-west gear, every classic car has a little something about it that will be significant to somebody. As a seller, it’s a matter of being able to articulate what that significant something is, and presenting it to the right audience. 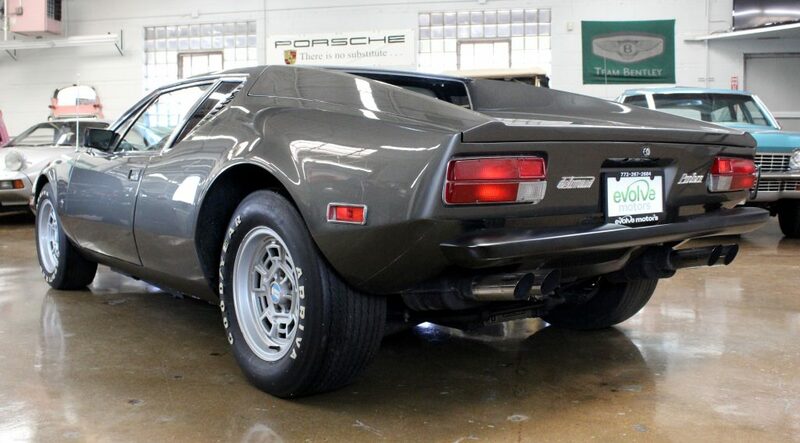 Because, as I mentioned earlier, it’s not always the look and feel that sell classic cars, it’s the intangibles. 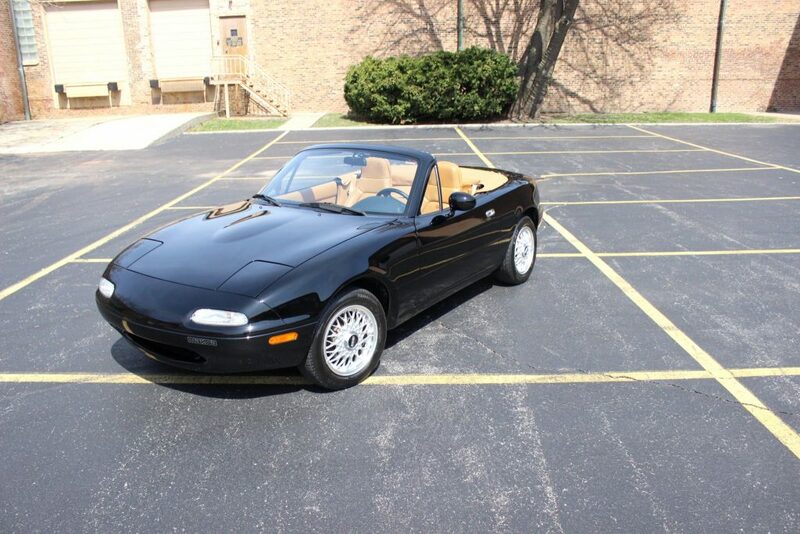 Mazda Miata – What’s All the Buzz About?